LA Kings staff nail together a planter filled with dirt at the Weingart YMCA Wellness & Aquatic Center as part of the combined efforts of the Kings, Enrich LA and Blue Shield of California on January 31, 2018. LA Kings staff clear shrubs to make room to build an edible garden at the Weingart YMCA Wellness & Aquatic Center as part of the combined efforts of the Kings, Enrich LA and Blue Shield of California on January 31, 2018. LA Kings and YMCA staff celebrate the completion of the edible garden build with a group photo at the Weingart YMCA Wellness & Aquatic Center on January 31, 2018. 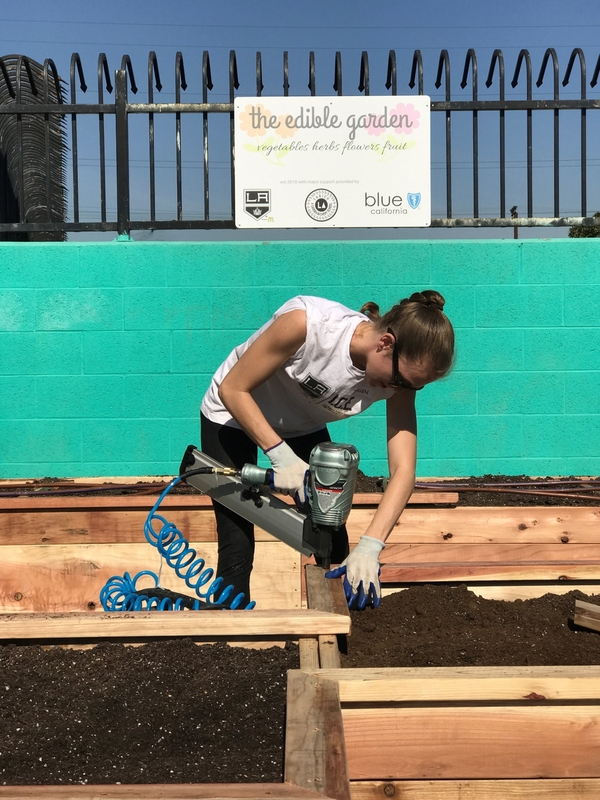 AEG’s LA Kings and Enrich LA joined forces, with the help of Blue Shield of California, to build an edible and interactive garden at Weingart YMCA Wellness & Aquatic Center last week. 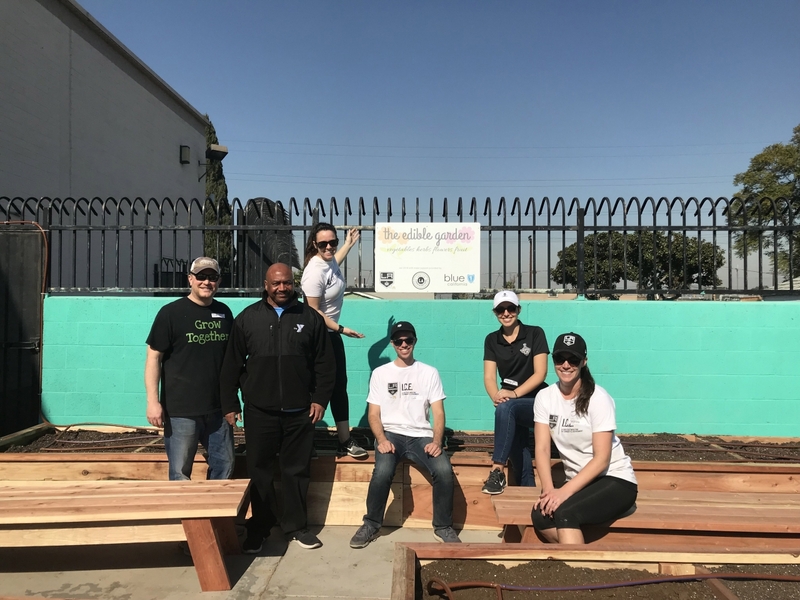 Throughout the day, Kings staff built and installed 13 planter beds with fully functioning drip irrigation systems for the YMCA to further its education initiatives surrounding maintaining healthy lifestyles. While the Kings and Enrich LA have previously teamed up to build three gardens in the past year throughout the greater Los Angeles area, this marks the second garden the LA Kings have sponsored exclusively for the YMCA. 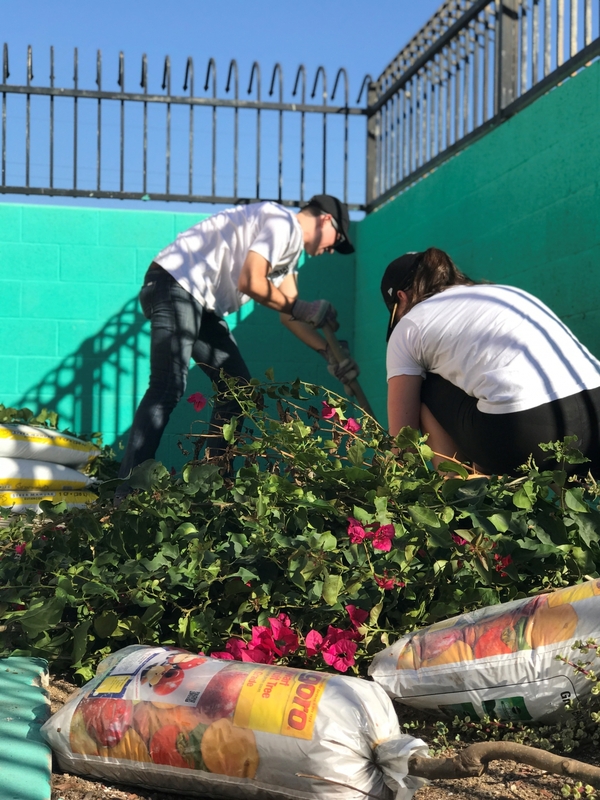 The Kings will build an additional three gardens throughout 2018 at various YMCAs throughout the greater Los Angeles area.